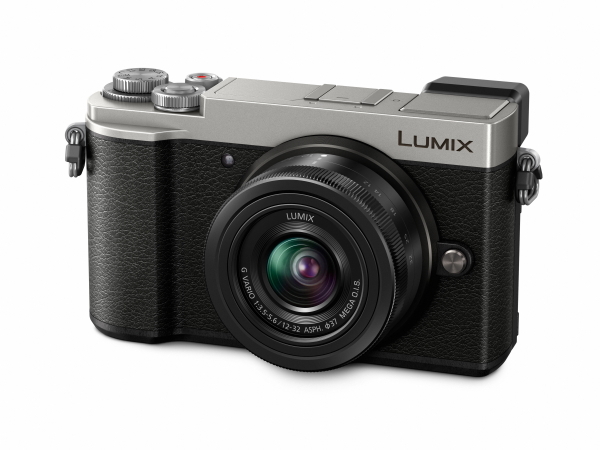 Panasonic has introduce an update to its predecessor (GX8) with the new LUMIX GX9, in a sleek, compact design. Boasting high image quality and creative freedom, the LUMIX GX9 lets users shoot vibrant, true-to-life, high-quality images with high resolution, high contrast and impressive color reproduction. The 20.3-megapixel Digital Live MOS Sensor without low-pass filter attains the maximum performance of the lens and the Venus Engine renders high-precision yet natural images. L.Monochrome D mode is newly added to Photo Style, making it possible to shoot dynamic monochrome photos with emphasized highlights and shadowswhile preserving the details. Plus, grain effect can now be adjusted in all monochrome modes in Photo Style. 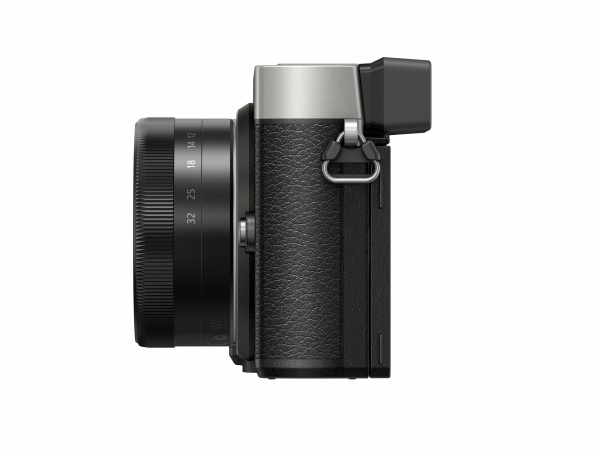 The LUMIX GX9 incorporates 5-axis Dual I.S. for more effective suppression of blur. Combining an O.I.S. (Optical Image Stabilizer, 2-axis) and a B.I.S. (Body Image Stabilizer, 5-axis), the 5-axis Dual I.S. compensates for a larger range of movement than ever before. Users can enjoy blur-free photo/video shooting from wide to tele, even in low light situations. 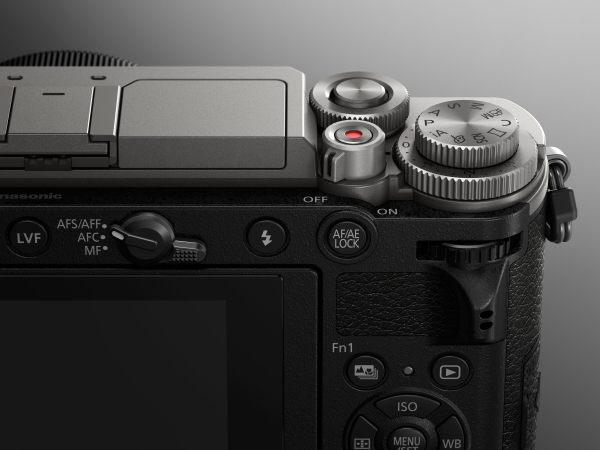 The LUMIX GX9 adopts an electromagnetic drive in the shutter unit. The shock caused by the movement of the shutter diaphragm is reduced by approximately 90% in comparison with the LUMIX GX8, and the shutter sound is also minimized. This shock reduction enables users to release the mechanical shutter even in the situations where they previously had no choice but to use the electronic shutter. 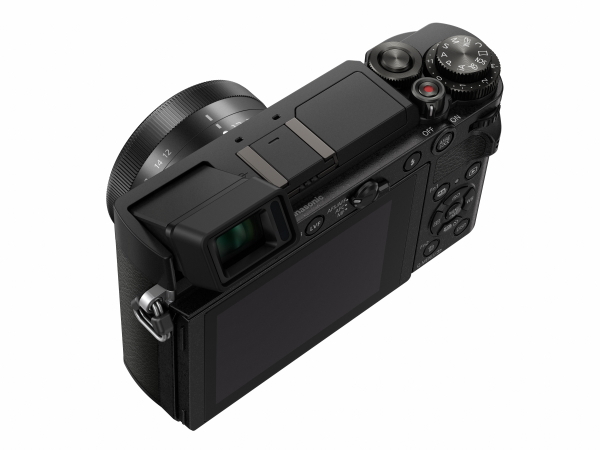 The LUMIX GX9 integrates a new LVF (Live View Finder) that tilts up by approximately 80-degree. With approximately 2760K-dot equivalent high resolution and approximately 100% color reproduction, this 16:9 Wide Screen LVF boasts approximately 1.39x / 0.7x (35mm camera equiv.) magnification and 100% field of view. The new 3.0-inch large, approximately 1240K-dot high resolution static-type touch monitor with approximately 100% of field of view tilts up by approximately 80-degree and down by 45-degree which enables shooting in either high or low angle even easier. The Contrast AF System features DFD (Depth From Defocus) technology and excels in both speed and accuracy by exchanging digital signal between the camera and the lens at max. 240 fps, resulting in ultra-fast auto focusing of approximately 0.07 sec. A variety of extensive AF functions including Face/Eye Detection AF, Pinpoint AF, One-shot AF and advanced Low Light AF enhance usability to comply with wide-ranging shooting situations. Live View Boost is another practical feature that makes it possible to check the composition even in total darkness by boosting the sensitivity just for live view. The LUMIX GX9 is capable of recording smooth, high-resolution 4K video in 3840×2160 at 30p / 25p, 30p or 24p in MP4. Taking advantage of 4K technology, users can capture the fleeting photo opportunities at 30 fps in 8-megapixel equivalent resolution to save it as a 4K PHOTO. Auto Marking and Sequence Composition are newly added in addition to Post Focus, Focus Stacking, Light Composition and 4K Live Cropping to make 4K PHOTO even easier-to-use, in more creative way. 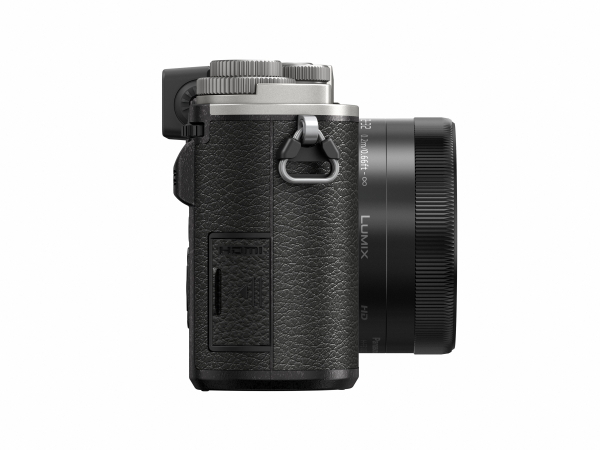 LUMIX GX9 includes Bluetooth and Wi-Fi connectivity to offer a more flexible shooting experience and instant image sharing with easy operation. Compatibility with Bluetooth 4.2 enables constant connection with a smartphone or tablet with minimum power consumption. The LUMIX GX9 lets users shoot vibrant, true-to-life high quality images with excellent resolution, high contrast and impressive color reproduction. The 20.3-megapixel Digital Live MOS Sensor without low-pass filter drives the maximum performance of the lens and the Venus Engine renders high-precision yet natural images. An optimum gradation setting according to the characteristics of the sensor provides a wide dynamic range for smoother gradation. A Tuned Three-dimensional Color Control detects not only hue and saturation but also brightness, and applies optimal control according to the value of each factor. This achieves rich color reproduction from dark to bright parts of the image, which especially improves the expression of skies or human skin. A Tuned Multi Process NR boasts high noise identification accuracy and preserves details even after the noise reduction process, which results in natural textures and precise detail especially in middle to high sensitivity image recording. The Venus Engine even reproduces vibrant, impressive color for such as clear sky by dividing hue, saturation, and luminosity, and finely adjusts them separately. The combination of the Digital Live MOS Sensor and the Venus Engine achieves clear image rendering with minimum noise even in low-lit situations and at max. ISO 25600. Monochrome D mode is newly added to Photo Style, making it possible to shoot dynamic monochrome photos with emphasized highlights and shadows while preserving the details. All three monochrome modes – Monochrome, L.Monochrome and L.Monochrome D – allow the user to adjust the grain effect between High/Standard/Low for more creative monochrome photo shooting. 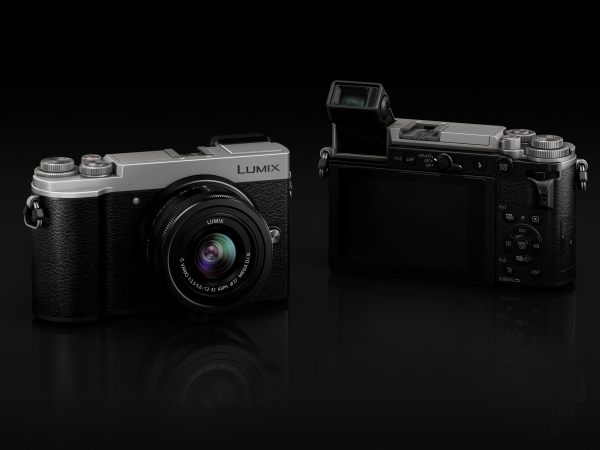 The LUMIX GX9 incorporates the new 5-axis Dual I.S. (Image Stabilizer) for more effective suppression of blur. Combining an O.I.S. (Optical Image Stabilizer, 2-axis) and a B.I.S. (Body Image Stabilizer, 5-axis), the 5-axis Dual I.S. compensates for a larger movement which was conventionally uncontrollable, making it possible to use 4-stop slower shutter speed. By making the most of both O.I.S and B.I.S., it is highly beneficial not only in wide angle but also in telephoto and in the adverse situations such as at nighttime or in one-hand shooting. The 5-axis Dual I.S. works in both photo and motion picture recording including 4K video. 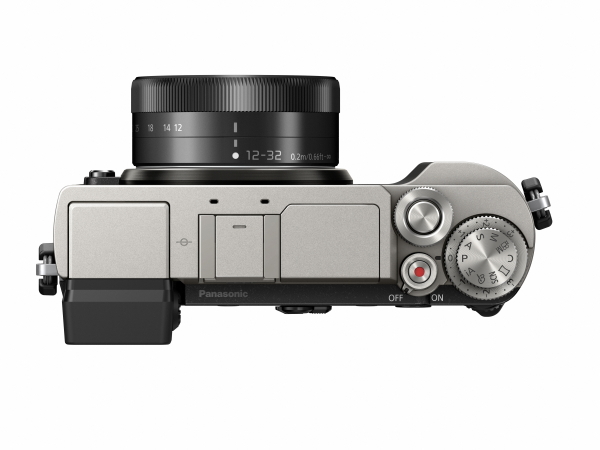 Panasonic LUMIX G DSLM (Digital Single Lens Mirrorless) Cameras offer a wide variety of digital interchangeable lenses and most of them are going to comply with this 5-axis dual I.S. in LUMIX GX9 and the B.I.S. compensates for the camera movement even when a lens without O.I.S. is used. 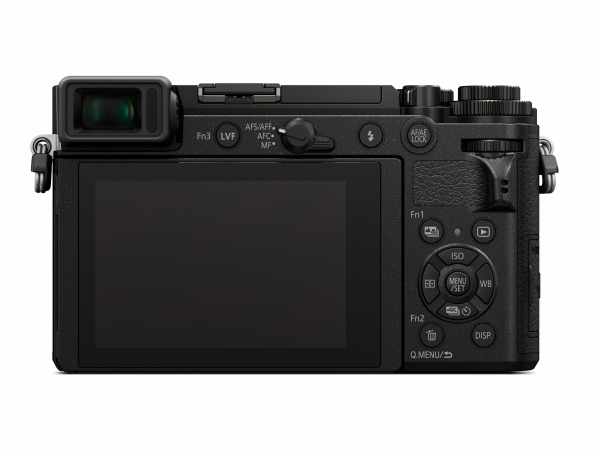 The LUMIX GX9 adopts an electromagnetic drive in the shutter unit. The shock caused by the movement of shutter diaphragm is dramatically reduced by approximately 90% in comparison with a conventional spring-powered shutter unit. Consequently, the shutter sound is also minimized. This shock reduction enables users to release mechanical shutter even in the situations where they had no choice but to use electronic shutter. Moreover, structure of the new shutter unit without motor and gears achieves considerable downsizing of the unit itself and therefore the camera profile. Plus, Silent mode switches the shutter from mechanical to electronic and turns all sound (AF, operation) off while suppressing the emission of the AF assist lamp and flash with just a single setting for special shooting occasions. The DFD (Depth From Defocus) technology in LUMIX GX9 calculates the distance to the subject by evaluating 2 images with different sharpness level while consulting the data of optical characteristics of the current lens in a moment. As a result, the LUMIX GX9 achieves high speed AF of approximately 0.07 sec*2 and high speed burst shooting at 9 fps (AFS) / 6 fps (AFC) to capture fast moving subject just in-focus. Furthermore, the Venus Engine in the LUMIX GX9 is more capable of tracking moving subjects, and it prevents out-of-focus shots even when the subject is fast-moving or when an obstacle cut across in front of the subject. AF in low light is optimized by tuning it to work most appropriately depending on the lighting condition, e.g. speed-priority in normal situations and precision-priority in low-lit situations. The Low Light AF makes it possible to set focus on the subject more precisely even without AF assist lamp in extremely low-lit situations to -4EV, which is as dark as under the moonlight. Plus, the LUMIX GX9 integrates Starlight AF which allows users to shoot a star in the sky at night with auto focus. This can be achieved by accurate calculation of contrast value in a smaller AF zone. A total of 49 focus detection area realizes more flexible composition together with Custom Multi AF mode in which users can freely select the blocks to focus out of the 49 focusing area. In addition to the conventional Face Recognition AF, the LUMIX GX9 incorporates Face / Eye Detection AF which automatically sets focus right on the eye of human face. With the Pinpoint AF, users can magnify the target area to set precise focus. 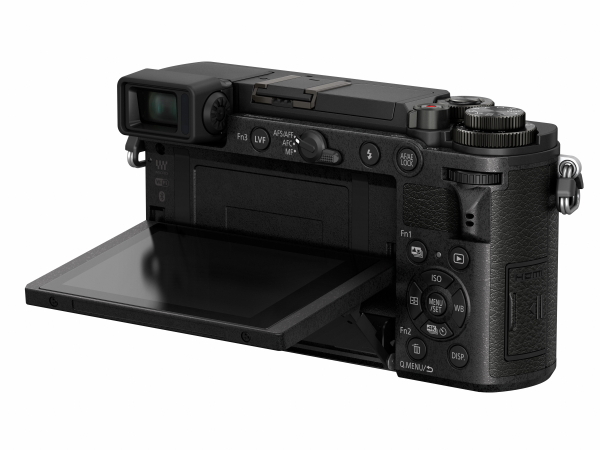 The GX9 integrates a LVF (Live View Finder) that tilts up by approximately 80-degree. With approximately 2760K-dot equivalent high resolution and approximately 100% color reproduction, this 16:9 Wide Screen LVF boasts approximately 1.39x / 0.7x (35mm camera equiv.) magnification and 100% field of view. The tiltable LVF offers extraordinary angle of view with unique shooting style – looking down into the viewfinder to level the camera straight on the subject. It comes with the Eye Sensor and the Eye Sensor AF starts auto focusing by just looking into the LVF not to miss the shooting opportunity. For more intuitive control, an exposure dial is added for quick changes in the exposure setting. A focus lever is also new, which lets you instantly change between AFS(AFF), AFC and manual focus depending on the situation. The 3.0-inch large static-type touch monitor increases its resolution to approximately 1240K-dot with approximately 100% of field of view. It tilts up by approximately 80-degree and down by 45-degree which enables shooting in either high or low angle even easier. With its high-speed signal readout of the sensor and processing of the engine, the LUMIX GX9 records smooth, high-resolution 4K videos in 3840×2160 resolution at 30p / 25p(50Hz Area) 30p(60Hz Area) or 24p in addition to the Full-HD 1,920 x 1,080 60p / 50p 60p videos with practical full-time AF. Thanks to this 4K technology, users can experience 4K PHOTO to capture fleeting photo opportunities at 30 fps by extracting the frame with the best timing out of a 4K burst file to save as a 8-megapixel equivalent photo. Choosing the best shot out of hundreds of frames recorded with 4K PHOTO is now easier with the newly added Auto Marking function. It lets you jump to the nearest frame where differences are obvious between consecutive frames to minimize the time it takes tochoose the best shot. Sequence Composition makes it possible to make a stromotion image by synthesizing multiple images shot at a fixed frame with 4K PHOTO. A unique image reflecting the subject’s motion can be produced easily in the camera without needing a special retouching process. The LUMIX GX9 also comes with a Post Focus function that lets users select the in-focus area even after shooting. This is helpful in situations like macro shooting where strict focusing is required or for changing expressions by changing the focused subject. This function was developed by combining the high-speed, high-precision DFD (Depth From Defocus) auto focus technology and 4K technology. The Focus Stacking function enables users to adjust the depth of field after shooting by combining multiple images shot with the Post Focus function in the camera. Users do not need to focus strictly while shooting as they can obtain the image with the defocus level that they want or pan-focus the image by simply selecting the focus area after shooting. This is beneficial when shooting macro shots of insects, small accessories, and so on. 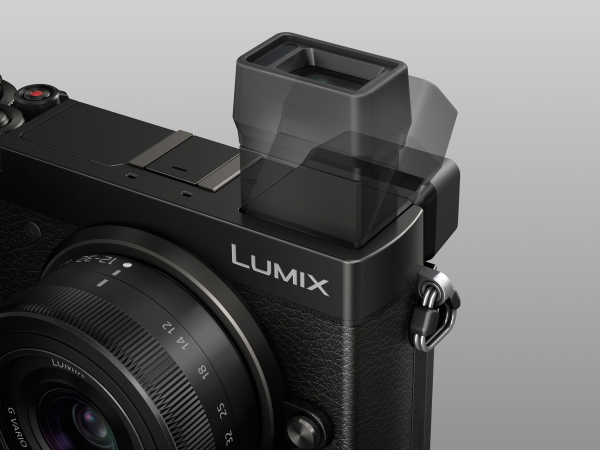 In addition, the LUMIX GX9 incorporates Light Composition function as a new option of 4K PHOTO mode. The camera synthesize the images by choosing and saving a brighter pixel. This makes it possible to produce more luxurious, dramatic image of situations such as fireworks or night scenery in camera with ease. Not only these, the LUMIX GX9 also enables 4K Live Cropping in video recording that realizes stable panning or zooming in video recording. In panning shots, you can just set the viewing angle to start and end with to get smooth panning imagery without using a special equipment like a slider. In zooming, you can set the after-zoomed viewing angle first, so that the subject can be perfectly in the frame. Thanks to the digital operation, the imagery of zooming is smooth because it does not move zoom lens physically. visit www.panasonic.com.my for more details. Editor, Photographer, Video Director & Producer and avid Traveller. 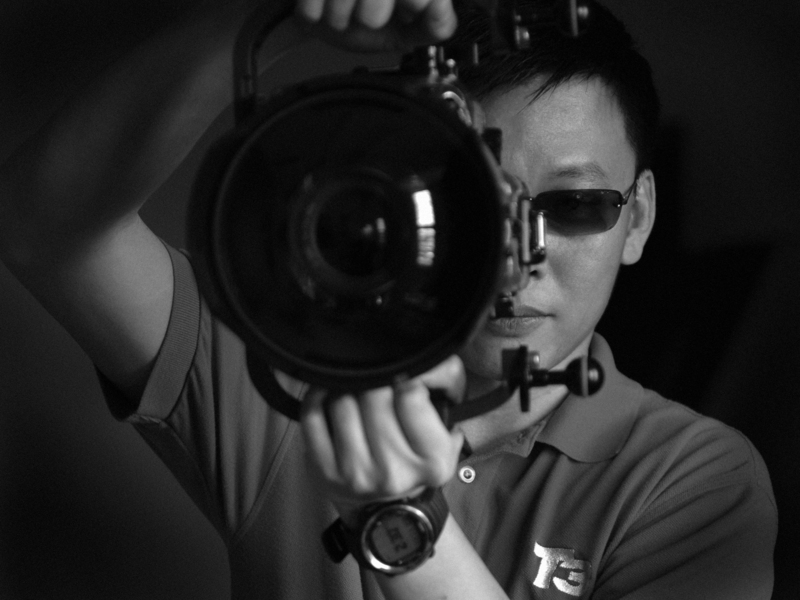 The media industry has been my playground for a long time and is getting more exciting by the days.